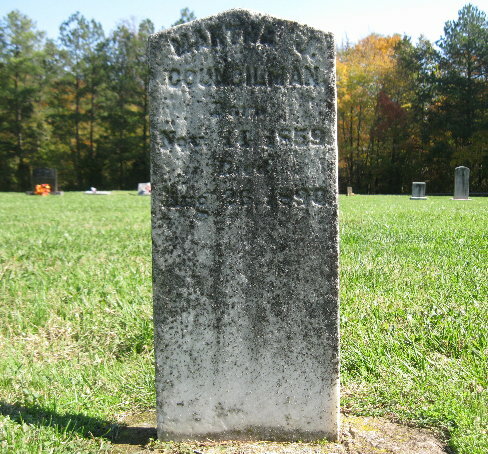 Tombstone says "Martha J Councilman Born Nov 14 1859 Died Aug 26 1890"
7) Welch, Charles M., age 2/12, at home, born NC, born April. 3. 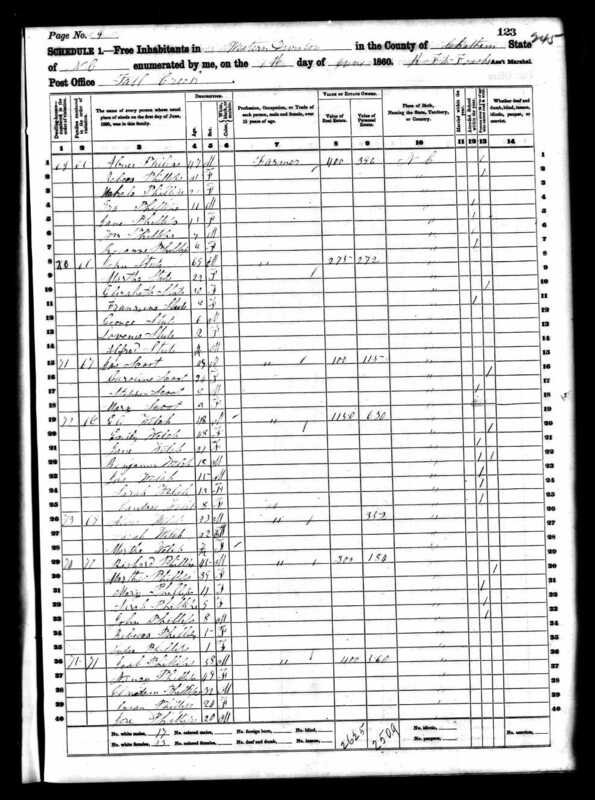 Appearance in Document: Quaker Meeting Membership, 1 Jun 1878, Cane Creek Mtg, Alamance County, North Carolina, United States. 419,3856 Milo Councilman and wife, Martha J., received by request. "C. C. Mtg held at C. C. 6 mo 1st 1878 ... They also report the names of Milo Councilman and wife Martha J. Councilman of Prosperity who request to become members of this Mtg with whom the Mtg has unity & they are minuted members accordingly." 6) Councilman, Jesse, age 1, son, born NC, parents born NC. 6. Appearance in Document: Transfer Quaker membership to Holly Spring, 6 Apr 1889, Prosperity Prep Mtg, Moore County, North Carolina, United States. 418,419 Milo Councilman and wife, Martha J., and minors, John, Ella and George, members of Prosperity Preperatory Mtg, transferred with that mtg to Holly Spring Mtg. 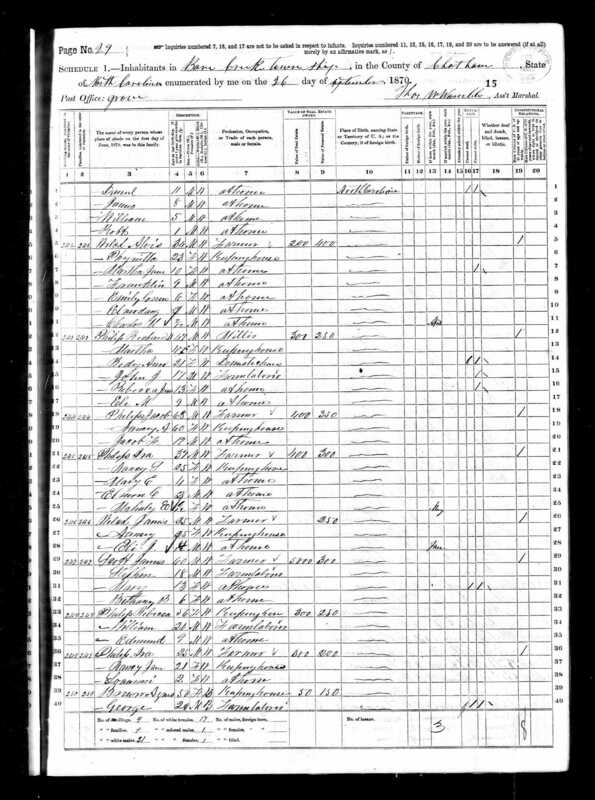 Martha married Milo* COUNCILMAN, son of George Clinton* COUNCILMAN and Elizabeth* ALLEN, on 4 Apr 1878. 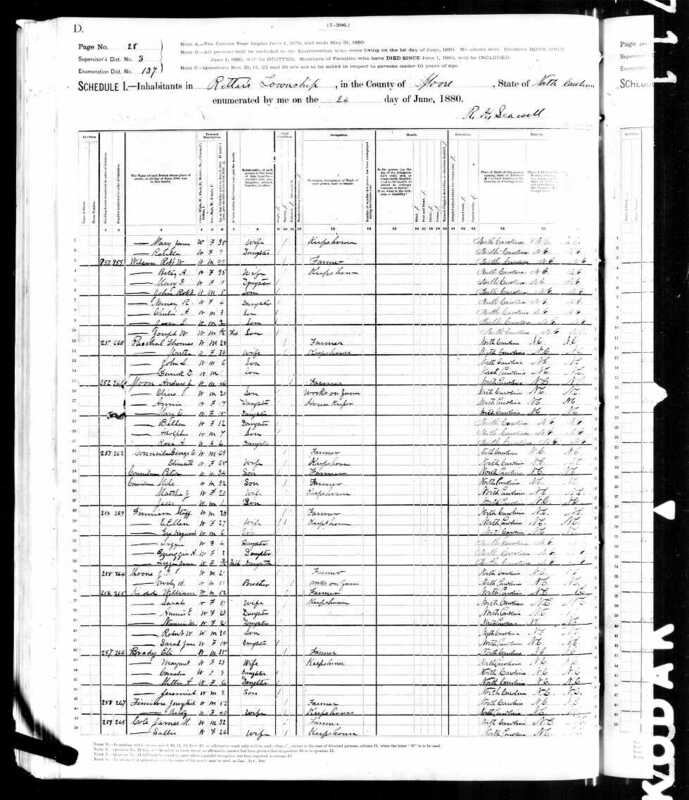 (Milo* COUNCILMAN was born on 7 Jan 1847 in Chatham County, North Carolina, United States,49,406,407,411,412,413,432,3321,3855 died on 4 Feb 1918 in Bear Creek Twp, Chatham County, North Carolina, United States 49,3323,3855 and was buried on 5 Feb 1918 in Prosperity Friends, High Falls, Moore County, North Carolina, United States 3323,3855.). The cause of his death was La Grippe (influenza). 1. Story. 401 Milo Councilman married first to Martha J Welch.